Did you know that May is Celiac Awareness Month?? Such a great time to educate others on exactly what Celiac is, the symptoms, and signs you may have a sensitivity, allergy, or celiac disease. Lately I have been seeing others with Celiac disease being an advocate for this lifestyle, and sharing about how it impacts their life and I realized that I don’t really talk about my own story much, or address it very often. Some people who know me may not even know that I have Celiac (or that I am a vegan- but thats a whole other story lol! ), because it is not a topic of conversation super often. Eating a gluten free diet has become so second nature to me that I hardly think twice about it. Scouring food labels for wheat, gluten, dairy, or animal products has become the norm for me that I sometimes don’t even realize that other people don’t do that. I cannot tell you the last time I picked up something in the grocery store and didn’t read through the entire ingredient list and/or look for the little GF or Vegan label. It kind of surprises me that other people don’t read labels- like don’t you want to know what is in your food?!? As I start to refocus my content on this blog, I want to share more about a gluten-free diet, and how you can easily fit it into your lifestyle. I used to feel weird about asking waiters for gluten free menus, or options on the menu, or verifying that there will be an option for me at events where fancy meals will be served, but now I am pretty comfortable with that. 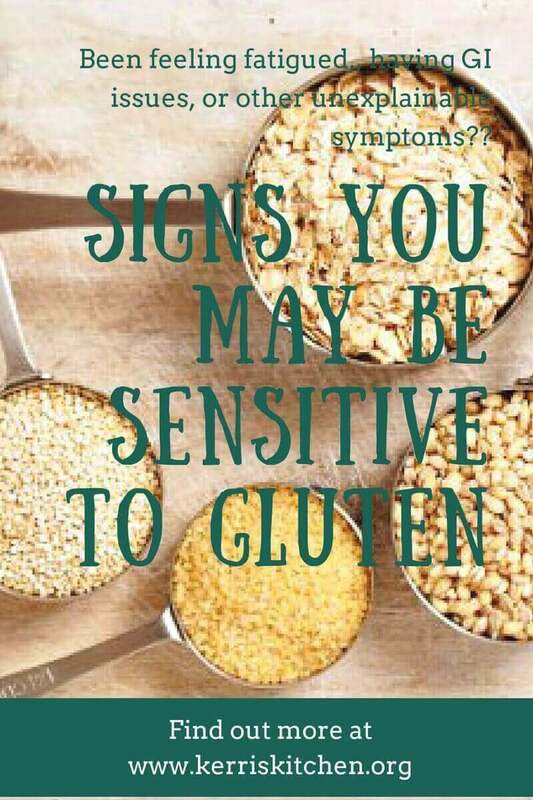 I am going to include more on those sorts of topics in later posts, but today I wanted to talk about signs/symptoms that you could have celiac disease, but have yet to be diagnosed. It is important to note that the signs and symptoms for celiac disease can be different depending on the age of the patient. Young kids will probably have very different symptoms that adults. If you have any of these symptoms you may want to make an appointment with your doctor to get checked out! Of course this list is not all inclusive, but it hits some of the major signs and symptoms. I hope that this is useful information and helps others to live their healthiest, happiest life! Tell me: have you ever tried a gluten free diet? do you have any gluten free friends? How did you know you needed to cut gluten out of your diet? Lets talk in the comments! How to Make Sweet Potato Toast-3 Ways! Aaron Rodgers Ditches Dairy & Why YOU Should too! I’m lucky that I don’t have a gluten intolerance but I like making gluten free recipes so my GF friends can enjoy it! My friend was MISERABLE and felt awful daily until she realized she couldn’t have gluten.